A medium danger warning was issued today for some avalanche-prone slopes of Jammu and Kashmir above 2,500 metres. CHANDIGARH: A medium danger warning was issued today for some avalanche-prone slopes of Jammu and Kashmir above 2,500 metres. 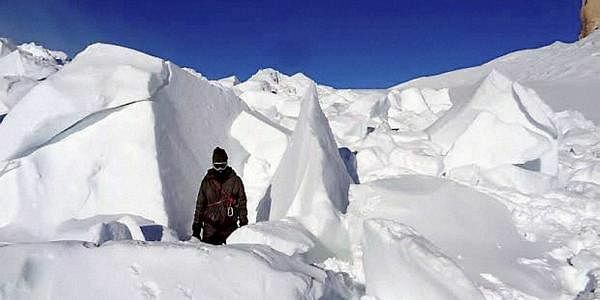 Chandigarh-based Snow and Avalanche Study Establishment (SASE) said a "medium danger" warning is in place for avalanche-prone slopes above 2,500 metres in Kupwara, Ganderbal and Kargil districts of Jammu and Kashmir. It said the warning is valid for the next 24 hours, starting at 5 PM today, and advised people not venture into avalanche-prone areas. The SASE said a fresh spell of snow was witnessed until this morning in Gulmarg (10 cm) and Drass (38 cm) in J&K.